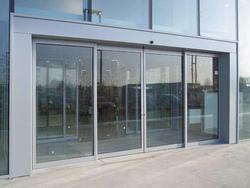 Our expertise enables us to manufacture, trade and supply a broad range of Automatic Sensor Door. These gates are designed as per international quality standards using superior quality raw materials and latest technology. Further, we offer these gates in various designs, sizes and colors as per the specific needs of clients. These gates are widely acknowledged by our clients for their features like durability, strong fabrication, light weight, smooth texture, high strength and robustness. 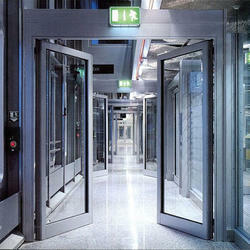 With a wide range of configuration possibilities, our Automatic Revolving sliding doors can add a unique design touch to any building entrance. 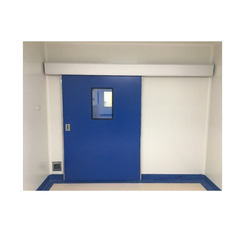 This automatic door with carefully-matched colours and project-specific customization can compliment the design characteristics of any building entrance. 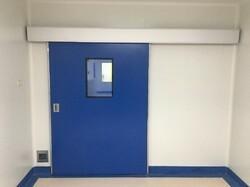 Programming of a pair of opposite facing curved sliding doors can provide reduced wind flow through the entrance and thereby an environmental benefit , even with high levels of pedestrian traffic. 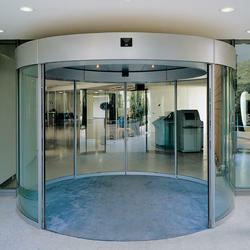 Revolving door systems offer advantages. First, which results in measurable energy savings. 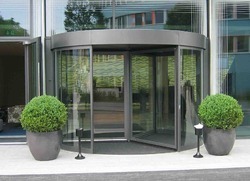 Second, revolving doors enables unique design options for the architect and building owner adding to the aesthetic value of the design and the property. 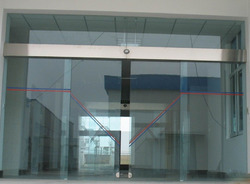 Revolving Sensor Door offered come designed and developed using latest technology support and feature wing mounted start-up sensors that support automatic revolving of the doors upon sensing pedestrian access to the door. 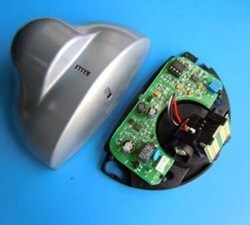 24VDC back-up battery can be input. 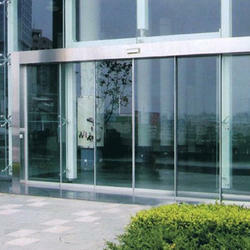 Automatic Sliding Glass Door Our automatic sliding doors are suitable for a wide variety of building types, from offices and residential buildings to retail environments and transit centres. 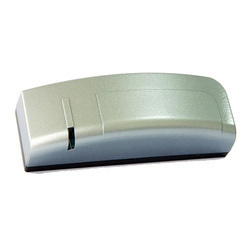 They are compact, durable, power saving, and can be enhanced with a variety of security and safety options, including burglary-prevention, emergency egress, and fireproofing features. 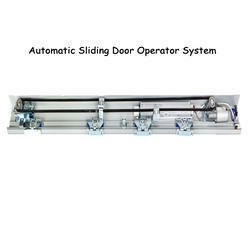 Automatic Sliding Door System offered comes developed using latest technology support and provides suitable support for driving of gear transmission motor for both moveable and extension doors. Further, it features magnetic switch based brake system as well as key-controlled release for annual handling if needed. 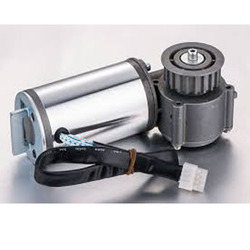 Some of its features include remote-controlled options; built-in manual -electrical convert clutch; allows for automatic gate closing which can be set from 0 to 120 seconds; implementation memory support and others. 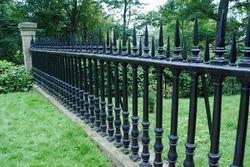 We are dedicated to continuous offering an extensive range of superior quality Decorative Gate. The best quality of Decorative Gate is offered by us in various designs and dimensions. The offered Decorative Gate is extensively used between rooms or at the top or bottom of stairs with included mounting hardware.